Completion of assembly and first flight of a new transport aircraft IL- 476, which is interested in buying Russian Ministry of Defense , is scheduled for the end of 2011, and certification and delivery of the first machines to the customer - in 2012 . This , according to ITAR -TASS , the forum "Technology in Mechanical Engineering 2010 in Zhukovsky, vice president for corporate governance and the development of the United Aircraft Corporation Vasily Prutkovsky . The main customer of the IL -476 , which is a deep modernization of the Il-76 transport worker , is a Russian Defense Ministry . Under a new state program of armaments for 2011-2020 War Department has included the purchase of 50 such aircraft in two versions - transport workers and tanker . The state program has not yet been approved and the number planned to purchase the aircraft may change. Serial production of IL -476 is scheduled to open at the factory Aviastar -SP . Work on the assembly of the first flight of the prototype IL -476 began in 2009 . In late December last year, President of the United Aircraft Corporation Alexei Fedorov said that the Ulyanovsk plant Aviastar -SP was initially planned to deploy the production of IL-76 , which had previously met at the Tashkent Aircraft Production Association named after Chkalov . However, it is IL-76 customers was not needed and it was decided to commence its upgraded version with a glass cockpit and improved flight-navigation complex. IL -476 can reach speeds of up to 850 kilometers per hour and carry up to 50 tons of cargo a distance of six thousand kilometers . It is possible that as in the IL -76 , armament of the new aircraft will be presented twin cannon fodder installing caliber 23 millimeter. Good question, I have been asking the same thing. The An-70 is a C-130 that can carry much heavier loads but only over short distances. Most of the time it will carry similar loads that a C-130 carrys but over longer distances. The An-70 is a replacement for the An-12, which is the equivelent of the C-130. It is either a strategic (ie long range with light load) light transport or a theatre medium transport (short range with medium payload). From an unpaved runway the An-70 is restricted to about 35 tons. With a full payload of 47 tons from a concrete runway it can fly 1,350km, but from an unpaved strip which it should operate more often from than an Il-76 its payload capacity is 35 tons and its flight range is 1,450km. Whereas with a 20 ton payload from concrete and unpaved is 7,400km and 4,900km respectively. The An-70 would actually be a very good aircraft for the New Zealand Armed forces to replace our C-130s. The C-130s we have can carry our 20 ton LAV IIIs but only about 1,000km, which is not even enough to get to Australia. The An-70 is much faster too. The estimate of 50 tons payload for the Il-476 seems a bit low as the Il-76MF can already carry 60 ton payloads and can carry a 55 ton payload 5,550km. The simple difference is that the An-70 will spend most of its time hauling payloads of 20-30 tons over long distances or 40+ ton loads over short hops while the Il-476 will more likely deal with heavier payloads of 40-50 tons over much longer distances. Any loads up to 80 tons then you use the An-22 if one is available and for loads of 100 tons to 150 tons then there is only the An-124. GarryB wrote: No it can't. The An-70 is far above the C-130 in capacity and range. It is not an equivalent comparison. More like the A400M. The An-12 replacement is the MTA, not the An-70. Totally different weight class. The range of An-70 at max payload is 3000km and 6,600km at 20t. Much the same as the Il-76. The Il-76 has a range at max payload of 3,650km and at 20t 7,300km. Despite what you read elsewhere, the aircraft are in the same class. One has slightly better range and payload but the other has 20-30% more fuel efficiency. It is a trade-off and now we are ordering 40 Ukrainian aircaft while we have only ordered 38 Il-476. I am sorry but you are wrong. If the An-70 could replace the IL-76 then it should also replace the Il-476 so they should be ordering 78 An-70s and 0 Il-476s. Or are they going to change their policy of buying foreign when local stuff isn't good enough? I have read with all the composites and electronic stuff the An-70 is three times the cost of the Il-76M and its engines are very unreliable at the moment. As I said, the An-70 can carry a heavy payload, but its range with that heavy payload is poor. It couldn't even fly to Australia from New Zealand with a max payload of 47 tons which makes it a theatre range medium transport. With a light payload of 20 tons it range becomes strategic, so it is a strategic light transport AND a theatre rand medium transport. The Il-76 series are medium weight strategic transports. The secret is in the change in range. The An-70s range drops dramatically at max weight because it has to reduce fuel capacity to take off. The Il-76 is a strategic medium transport that does not reduce its fuel weight to carry a bit of extra payload. If they wanted to I am sure they could offload fuel and increase payload to the 80-90 ton range, but the flight range without inflight refuelling would make it a theatre range transport and it is a strategic range transport by design. A transport plane that requires inflight refuelling all the time is a very bad thing... they would be better off using the next size up aircraft (ie the An-22 in this case). The A-400M is not a replacement for the C-17, it is a replacement for the C-130. If the payload needing shifting is 30 tons and therefore too heavy for the C-130 they will of course use the A-400M instead of the C-17 because it is always cheaper to use the smaller aircraft, and in theory there should be more smaller aircraft available most of the time. Transport hubs have different requirements based on the quality of the strips which often limit the types of aircraft that can operate there. The An-70s lack of ability to land on rough strips at max weight is no problem because it will be delivering the sort of stores that the An-12 would have delivered, so in practise it can deliver 10 tons more over a similar range to the An-12 to a rough airstrip. 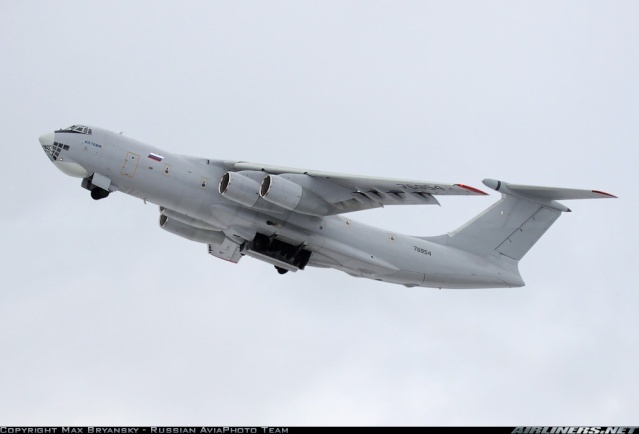 Are there situations where the An-70 can do the job of an Il-76? Of course there are. Previously if you needed to move more than 20 tons but less than 50 tons... even over a relatively short distance then the only choice was with an Il-76. You could use an An-22 of course or an An-124, but an Il-76 would probably be better suited. With the An-70 you can move 47 tons over distances of 1,000km or so. The An-70 gives you more options but there is no way it can replace the Il-76s... it compliments them. It is a management issue otherwise you'd just buy all An-124s because they could handle anything over any range, but using an An-124 to move 2 tons of post between bases 500km apart is poor solution to the problem. Sometimes however you use the tools you have available... in Afghanistan stores were carried to hilltop bases that were surrounded by minefields by huge Mi-8 helicopters when something much smaller might have been more efficient. The environment and altitude and heat and availability of helos meant it was the Mi-8 that was used for the job. The An-70 offers more flexibility in that it has a lot of overlap in performance with the aircraft above it (Il-76) and completely fulfils the role of the aircraft it is replacing (An-12). BTW I am glad to see they are retaining the 23mm tail gun. One of its primary uses is with Chaff and Flare rounds that can generate a cloud of chaff or flares very quickly. Modern IR seeker missiles don't see hotspots anymore so the only way flares can be effective is if they form a large shape that could be mistaken for an aircraft. Salvos of existing flares are normally used but you run out fairly quickly using them at that rate. From a 23mm cannon spitting out IR flare and chaff shells at 3,000 shells per minute is much more effective. Including a max payload of 60 tons and a flight range with that 60 tons of 4,000km. The figure given for 40 tons is 6,300 km, so we can roughly split that and say that for 50 tons the range will be something like 5,150km or so. The Antonov site seems to be down at the moment so the only figures I have state what I have posted above. Range with 47 ton payload is 1,350km from a concrete strip. 3X as much? India paid 1800 crore for their three Il-76 base aircraft or $128 million per. If the An-70 is coming in at $80-90 million with 20% better fuel efficiency then it is a clear competitor. The engines were fixed in 2002, it would not be ready for mass production if they weren't. As I posted with links, your range figures were wrong and they have similar ranges. Scratch everything you just said. Countries that are buying A400M do not have C-17s. France and Germany are building it so they do not have to buy C-17s to meet their strategic transport needs. It has a range of 6,390km at 20t load, nearly identical to the An-70. Europe will use it to not buy C-17 and replace much of their smaller Casa transports. I have no idea where you got your information, but an Il-76 has more problems using an unprepared strip than an An-70 will. The An-124 is a totally different class from either of them, it is a long range transport. At 20t load it can fly twice as far as the medium ranged Il-76 and An-70. That plane doesn't even exist except on paper. Il-476 is already tested and certified, it is closer to the IL-76TD-90 as it is the same aircraft. Considering you were looking at some future fantasy for the civilian market I will not bother to respond to your point but make my own. The Il-476 has a range of 4,300km at max load 50t. The An-70 max load 47t is 3,000km. The 476 is more capable, but it is not a different class and it also burns more gas. And that's BS... once you accept it is 3,000km paved you will find your argument has been based on false info. Of course it will, that is because the Il-76 is a medium transport aircraft with strategic range. You don't think it is an accident that the MTOW of the Il-76TF is 210 tons and the MTOW of the An-70 is about 150 tons do you? My range figures are old figures from Antonov for the An-70 and current figures from Ilyusion for the Il-76TF. The point is that you need different classes for aircraft for different jobs. The An-70 is necessary to replace the An-12 even though its performance in some ways overlaps the Il-476s capabilities. You need smaller aircraft to operate from smaller airfields. There are plenty of airfields that a real medium transport can't operate from because it is too big. From concrete to concrete there is no problem for large loads but most of the places you need to take stuff you need an aircraft that can also carry lighter, but still substantial loads to. There was no need for the An-12 in the past because the Il-76 could have carried the loads they carried. Now the replacement for the An-12 has grown in capacity to the point that it can almost do the same job as the aircraft above it in the chain, but most of its time will be operating from the rough airstrips that the larger aircraft can't operate from. Well that is all the proof you need... they have chosen an aircraft variant of the Il-76 that only weighs 195 tons with a 50 ton payload over the MF model and the TF model based on it that has a payload of 60 tons. That makes it fairly clear they don't need a plane with 60 ton payload and that planes with short and medium ranges with payloads in the 47-50 ton range is what they want. With the 55 ton T-95 cancelled of course there would be no need for an Il-76 aircraft able to carry it. I doubt there are other items that can't be broken down and carried in mixed loads so they have taken the cheaper option regarding the Il-76. So is this an accurate figure or marketing gimmick? It could be that the old figure was a standard radius figure with 30 minute reserve. BTW the fuel burn difference is not that much, 126 g/t.km compares with 244 g/t.km for the old Il-76, but 166 g/t.km with the PS-90A engines. Doesn't make any difference towards its role except that one is more fuel efficient. I just posted the figures from Antanova and they haven't changed in 6 years. Don't know what you were looking at since you didn't post links but it is false. The Il-76TF does not exist, and it won't exist for quite some time if ever, so stop looking at it and focus on 476. The An-12 has not been in service in VVS since 2006 and there was only one transport regiment of them. It was never an integral part of the Russian air force strategic airlift. During Soviet times it was used to transport VDV but that role has been replaced by the Il-76. It is rather hard for the An-70 to replace the An-12 when it has already been replaced. Which only reaffirms the point that the An-70 is a direct competitor to the Il-476. Proof I need for what? The TF is supposed to be a civilian model, it was never intended for military use. It is moot to talk about a paper airplane that can't meet its expected figures. It uses the same body and engines as the 476 yet it is supposed to have a 15% increase in performance? Wishful thinking at UAC is what that is. Unlike the 76TF, the An-70 has been heavily tested. The figures are more reliable than paper airplanes. The Il-76 fuel consumption is 231.5 g/tkm. Compared with 150 g/t.km for the An-70, it is a much bigger gaz guzzler. The newer PS-90A engines are 12% more fuel efficient which would put it at 203.7 g/tkm. It still isn't close to the An-70. The figures I gave were from when the Russian AF was still interested in the project in 2000 from a book with information directly from Antonov. All the news reports I have read compare the An-70 to the C-130 because that is the class it was supposed to be replacing. The program on the An-70, which would have larger payload capacities than the U.S. C-130 Hercules, has experienced a number of setbacks. The An-70 program, which would have a larger payload capacity than the U.S. C-130 Hercules, has experienced a number of setbacks. In the medium-lift category, Russia relies on a joint Russian-Indian project set to be implemented in three to four years. Russia and India signed last year an intergovernmental agreement on the joint development of a multi-role transport aircraft (MTA). There is also a need for the Russian-Ukrainian An-70 medium-range transport plane, Kachalkin said. However, he said the procurement of new aircraft would not be enough to satisfy the demand for the high mobility of Russia's Armed Forces in line with a new military doctrine. Therefore, the current military transport fleet must be thoroughly upgraded and the service life of existing planes should be extended for another 20-30 years, the general said. Seems the new doctrine requires the real replacement for the Il-76 in addition to the An-70... The MTA is only a replacement for real An-32 type aircraft. Perhaps what they should do is cancel the MTA project with India, let India buy An-70s for that job, and joint develop a real medium transport aircraft. You see how medium can be misused? For Russia with An-12s, Il-76s, An-22s and An-124s the medium aircraft is the Il-76 with light and heavy antonovs on either side of it. For India the Il-76 is a heavy transport and the An-12 is the medium and the An-32 is the light transport. Considering the age of the An-22 and the Il-76s it seems the Russians need to look at a new aircraft in the 60-80 ton payload region perhaps to fill the gap between the An-70 and the An-124. There are up to 300 transport aircraft in service with the Russian Air Force, including, among others, An-12, An-70 and An-124 Ruslan strategic heavy airlift transport aircraft. The An-70 is a medium-range turboprop military transport plane developed by Ukraine's Antonov design bureau. The Antonov company first tested a flying prototype of the An-70 in 1994, but a lack of Ukrainian state funds, and political disputes between Moscow and Kiev have prevented large-scale production of the aircraft. The recent thaw in Russian-Ukrainian relations saw Moscow renew long-stalled funding to Ukraine for eventual joint production of the airplane. The An-70 is due to occupy the An-12's niche. The An-12 might be in service in small numbers but they clearly want to change the current situation. The newer more mobile Russian armed forces is going to need a lot more transport aircraft, and it will need light transports that can carry heavier loads than previous light transports it seems. Russia's military transport aviation will be modernized by 2020, a senior Air Force official said on Monday. Russian air forces will deploy Il-112 and Il-476 transport aircraft and updated models of Il-76 Candid planes in 2011-2012, Lt. Gen. Viktor Kachalkin said. "We plan to have An-124 Condor and An-70 aircraft in 2014-2015," he added. Kachalkin said the Russian military aviation park was in good condition so does not require a full upgrade. Sounds like there is a future for the Il-76 and its updates afterall? The An-70 is intended to replace An-12 and Ilyushin Il-76 (Candid) aircraft currently in service. I would take this to mean it replaces the An-12 and the old model Il-76s that are not going to be upgraded or newly produced. The An-70 is intended to replace Russia's An-12 military transport aircraft. Russian Airborne Troops Commander Lt. Gen. Vladimir Shamanov said in May that his service had ordered 40 An-70 planes under the new state arms procurement program for 2011-2020. During Soviet times it was used to transport VDV but that role has been replaced by the Il-76. It seems that Shamanov has decided to go back to a propeller driven transport for para dropping. I am sure those jumping will appreciate the lower flight speed. The estimated cost of industrial production of the An-70 has been put at $50-55 million. Russia's Defense Ministry originally ordered 15 planes, which would have larger payload capacities than the U.S. C-130 Hercules. All these comparisons to C-130s and talk of replacing the An-12, perhaps I am not mad? If you are correct the An-70 should be compared with the C-17 in the medium transport role. The thing is that like many things in the Russian Armed services during the last two decades of stagnation it hasn't just been the Mig-29 and the Su-27 that haven't had their regular upgrades and improvements. It has been most things, including transport planes and I don't know why you think the Il-76 would be immune to that. The fact that the TF model is on paper only is for the same reason all the Mig-29 upgrades haven't entered service in the Russian AF either. The AN-70 was proposed in the mid 1980s and has taken this long to mature. It should have been in service a decade and a half ago and a decade ago the replacement for the Il-76 should have been well on its way. The best replacement for the Il-76 and An-22 would be the Il-106. The NK-92 engine sounds ready... and very interesting. Maybe it is time to revive the Il-106 program? GarryB wrote: The figures I gave were from when the Russian AF was still interested in the project in 2000 from a book with information directly from Antonov. It did face a number of setbacks, until 2002. Then in 2006 it didn't have any funding. Has nothing to do with the engines. I would take it to mean it will replace the An-12 that was withdrawn from service and the Il-76s of the VDV. 40 aircraft would just about cover it. Exactly as I have been saying. $55 million in 2000 maybe, it will be more like $90 million today and $100 million when it finally reaches production. Both the A400M and An-70 are intermediate aircraft between the C-130 and C-17. You can use it to replace both as the Europeans are doing. What does lack of upgrades have to do with the price of tea in China? The MiG-29 upgrades have been sold, the TF model has not been made and is the exact same engines and model as the 476, with a wider body it should have even less range. The numbers do not add up and once they start testing it, they will realise their folly. But it gives the wrong impression. The Il-76 was doing the job in the VDV because the An-12s were no longer available, so in actual fact what has happened is that a medium has replaced a light because of availability and funding, and now that funding has returned it would make sense to replace that medium with a light again... except that the light transport is the An-70 whose capabilities have improved so far beyond the An-12 that they are now considered medium. In other words the An-70 is actually replacing the An-12 and the Il-76s in the middle were just stopgaps. This is what I have been trying to say, which is very similar to what you have been saying so lets let that go. Agree in principle, but the C-17 is not a C-141. The C-141 starlifter is a better comparison with the Il-76, the C-17 is the upgraded Il-76 that never was. The C-17 can transport an M1A2 Abrams... there is no way the An-70 or A-400M can do that. Of course the C-17 costs so much you could buy about 5 Il-76s or 2-3 An-124s for the same price. I am sure they make lots of calculations before they state expected performance and generally they are pretty accurate. Lack of upgrades is what has led to the current situation where the new replacement for the AN-12 has a performance that overlaps the existing medium transports performance in the form of the Il-76. If funding had been continuous then the Il-106 would be ready now to replace the Il-76 just as the An-70 would be replacing the An-12, the An-70 would be the light transport to service the rough forward airfields and the Il-106 would be the medium transport with a max payload in the region of 80-100 tons over 6+ thousand kms, and the An-124 will carry the 150 ton payloads over strategic distances. That NK-93 looks like an amazing engine and it is just criminal that the Russian armed forces isn't spending money putting it to use. No wonder you have to buy foreign stuff if you are going to ignore this and let such things wither on the branch. If it is ignored it is for good reason, cost and time. We have run out of both. You have that much confidence? It was cancelled because there was no money for anything. Or should I say that the plane it was going to be used in was cancelled so it became redundant. That is no to say it is a bad engine, just that there was no planned aircraft to put it in. Survival of the fittest only works on a level playing field. Politics usually ruins things, a good example was the Mig-29K vs the Su-33, where the Mig-29K was fully multirole, while the Su-33 was an Su-27 with folding bits and canard foreplanes. The Mig-29K was a much better aircraft even though it had shorter range and a smaller radar. The Su-33 was selected because Sukhoi was in a better position than MIG. Now that the Su-33 is ageing and needs to be replaced Sukhoi has dabbled with the Su-33KUB multirole naval aircraft but the sale of the Mig-29K to the Indians puts the Mig into production, which gives it an economic advantage over the Sukhoi. The result is that now that Sukhoi have actually pulled out their finger and done some work on their plane it gets replaced by a plane that is on paper inferior to their design, but because it is in production it gets the nod. Of course not, but tell that to MIG and they will say that overall the team that worked the longest and hardest got the contracts. Now that there is money, hopefully it will be invested in things like this (Il-106) that are worth spending money on... its performance figures are very impressive. In fact the next upgrade for the Il-476 would probably be better to be replacing the four engines with two of these powerful and efficient engines. There really isn't any money. R&D funds are at all time lows and what should be spent on it is going to foreign suppliers. Now we are begging India to fund more than the state is going to pay for PAK FA. As far as engines, we have to turn to France to build engines for our own airliners. It is only a matter of time before our new transports have Snecma components. Sorry, I edited my last post... might be worth re reading... or not. The point is that now that Illysion (sorry spelling) has orders for Il-476s it should put some of that money into new designs, and it should also approach all other users of the Il-76 (and there are plenty of them) to see if they want to buy some brand new Il-476s to add to the Russian AFs purchase to increase the production run and increase profits. From that they can invest in if not the Il-106 design, then something like that. For many missions the payload is more than 60 tons but not 150 tons that the current model An-124s carry. Having an aircraft in the 80-110 ton payload range would mean it could carry western tanks and various in between loads that would mean you wouldn't need a larger aircraft for. The engines are already developed... and they are both powerful and fuel efficient. Ilyushin will not use the money for new designs. Russian companies do not fund development out of their own pockets unless it is matched by greater funds from the state. What they have been doing is pocketing most of the money and providing half-assed products on inherited technology. It is not like Western defence companies that will go out on a limb and try to develop something for any market with no state support. Russian engines are developed, but they are obsolete and do not meet fuel economy, noise/pollution and safety standards to operate in most developed countries. Vladimir79 wrote: Ilyushin will not use the money for new designs. Russian companies do not fund development out of their own pockets unless it is matched by greater funds from the state. What they have been doing is pocketing most of the money and providing half-assed products on inherited technology. It is not like Western defence companies that will go out on a limb and try to develop something for any market with no state support. Actually, you are wrong on the defense company aspect of western countries. Take a look at the M1 tank competition. It was a competition between GM and Chrystler Defense (separate companies) yet GM lost. Just like various other developments that Northrop vs Lockheed would take place. The point of a private company, is that the government puts the money down for a new system, and the private companies involved in those sectors, compete for the contract. Also, the statement about the FELIN system, was disproven already on mp.net. They made mention that it is more or less a testing unit to compare to what they develop already (already in testing use with SF). Developing an aircraft is expensive. Being majority state owned Ilyusion is hardly going to waste a billion dollars on a speculation. Either way the Russian government should see that a replacement for the Il-76 is needed and that something like the Il-106 needs to be developed. And regarding the state of the art the NK-93 was tested years ago and its performance levels are still impressive. In the gap now western engine companies are now developing their own equivelents. It seems to me that your experience has clouded your judgement... if Russian engine companies were all so crap why does the US still buy Russian rocket engines for their Delta rockets? Why, with the last failure of an Indian rocket has the Indian government decided to return to using Russian rockets? Why does France buy Russian rockets to launch from french Guyana? The real difference between current Russian engines and western state of the art engines is that Russian engine makers had poor funding for the last 20 years, not to mention that most were Soviet companies with offices and factories all over the Soviet Union. When the Soviet Union broke up those companies suddenly have to operate across borders in foreign currency. I would be very surprised if they didn't have any problems. What you are saying about the Russian MIC is like me saying that the Russian Armed forces are currently a joke. It is all mismanagement and corruption. They should all be fired and replaced by mercenaries from France. Is that a fair assessment? Right now your nuclear arsenal means you are safe from real threats to Russia as a whole. There should be urgency in updating and upgrading, but not at a speed that will break the whole machine. Mismanagement and corruption... you think buying French and German stuff will get rid of those sorts of problems? Actually, you are wrong. Take a look at the Boeing F-15SE, no state support. Or Sagem's Patroller UAV, no state support, or Thales Dragon Fire which won the USMC future mortar contract. The point is these companies do not rely solely on state orders and funding. They will go out on a limb to develop what they think the market will want. That doesn't happen in Russian defence companies. They develop based on state orders and funding. Companies can't even market products on their own. Actually that has already been disproven on RMF. It is going into trials to be configured for GRU Spetsnaz. Once the trials are complete, orders will go to Sagem for the fitting of Russian weapons and electronics we cannot make or want, while we will make our own body armour and guns. The French have already tailor made NORMANs for Norway which is a similar programme that is going on in Russia. They will go out on a limb to develop what they think the market will want. There are lots of Russian small arms designs, not all of them were to meet a specific requirement were they? But it is called risk management... no company is going to spend money developing a 5th gen fighter without government support/interest... except MIG. The reality is that the Russian Armed forces should be telling its MIC what it wants and the Russian MIC should be closer to the Russian Armed forces so they don't end up developing things that are not needed or wanted. BMPT was built for the 2001-2010 GAZ state defence order. It has turned into another cancelled project that doesn't meet the modernisation goals of the Army. It was funded by the state. The Army tells them exactly what they want, but when you are using technology based from the early ninties, it does not meet the requirements. You think the Army said to build BTRs with side loading doors? Absolutely not... What is needed is to allow companies to market their products as free agents to the state and the world. When the state issues an RFP, there should be at least two companies vying for the contract. Not the state picking one to survive. The problem of lack of competition is largely the fault of the state. Most westerners I talk to think there has never been competition in the Russian defence industry and that the state just tells Mig to build a Mig-29 and Sukhoi to build a Su-27 and that is the end of it. The reality was quite different with a few exceptions... obviously Stalin telling Tupolev to copy a B-29 is an exception. If there is only going to be one tank producing company in Russia then the Russian military are going to have to get very specific about exactly what they want so competition is no longer and issue because it is more like getting something made to order. That of course requires very good communication and a customer that knows exactly what they want or are aware of exactly what can or cannot be achieved. Sometimes cooperation can achieve more than competition. For state owned companies it should all be about keeping Russian soldiers safe and giving them the best kit that Russia can afford. One of the underlying goals of the T-95 design was to separate the crew from anything that explodes like fuel and ammo. Placing them under the heaviest armour on the tank. The alternative from the rival company had a conventional layout but with the underfloor ammo moved to the turret bustle with bulkheads separating the crew from the fuel and the ammo. Different solutions to the same problem. You might say that on paper the first solution is the best, but then the solution of a normal layout but with a large turret bustle can be applied as an upgrade whereas trying to fit three crew in the front hull of a tank not designed for such an arrangement might be problematic. Cooperation led to the Black Eagle solution being applied to an upgrade package for existing tanks, which while not perfect certainly improves existing models. Sorry to harp on about the T-95 but it is an example of a monopoly being created where all the design stuff from the rival was handed over to the main company who have used their rivals designs to improve what they had. An incredibly rare moment. You can see how each pair of wheels rotates at an angle parallel to the a/c axis before stowage. A beautiful engineering solution so rarely seen on photo. 5 stars!